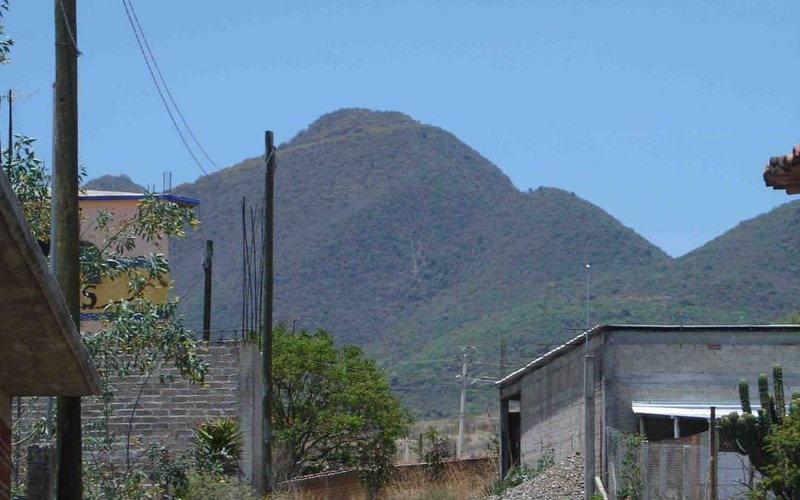 The road to Teotitlan del Valle has changed a lot since I was first there in 2003. The pueblo sits off the main highway that heads south from Oaxaca toward the Istmo. It’s only about 30 minutes from the city but my memory of the 2003 trip is that it took us much longer and it seemed like we were heading into the middle of nowhere. Back then the road to the town was rutted and rough and, when we ended up going to taste the best mezcal our driver knew, the dirt road to the Del Maguey bodega seemed endless and long. Not so today: Like so many excursions outside of Oaxaca there were wrong turns until finally we stopped and asked for directions from a very kind man in the centro of Teotitlan. Of course, you have to know that people will give you directions to a place even if they don’t know where it is – they just want to help. We finally arrived after more wrong turns and were greeted by the amazing team at Del Maguey, including Arturo and Francisco Martinez Martinez. The operation has grown a lot since the last time I was there – the building that was once a small room now houses three rooms – an office, a storage area, and the bottling and waxing room (the tops of the Del Maguey bottles are dipped in a sealing wax, rather than the usual plastic wrap used by just about everyone else.) Given how successful Del Maguey has been in the US market, it is a surprisingly simple operation. And the road leading to the bodega, while still dirt and slightly rutted, is now dotted with buildings. It is impossible to talk about artisanal mezcal in the US without mentioning Ron Cooper in the same sentence. His passion and perseverance in bringing his single village mezcals to the US has paved the way for everyone else, and certainly set the standard for quality. Del Maguey is one of the few brands in the market that is double organic certified, meaning that not only are the magueys that go into the process certified organic, but so is the mezcal making process itself. Given that the organic certification of the magueys often means certifying the entire community property of the pueblo where the maguey comes from, it is a huge task, and a huge point of pride for the brand. It also guarantees that the wild magueys known as silvestres growing in the zone are certified organic. 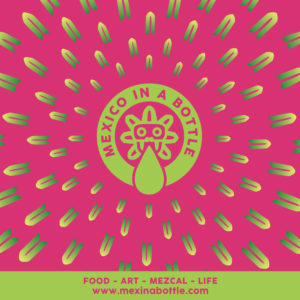 For the actual mezcal making process, it means no air or chemicals or additives go into the process. Francisco Martinez Martinez was full of information about Del Maguey’s process from field to bottle. First, he reminded me that agave is a plant just like any other with seasons where the fruit is fully ripe and, since the process it truly artisanal, every step in mezcal production depends on a variety of factors. During the rainy season (loosely June-August) it can be challenging. The colder weather impacts the mezcal making process – specifically related to attaining the desired alcohol level – the higher the grade, the harder it is to achieve it. The cold weather slows or stops natural airborne microbial fermentation. For Del Maguey and their mezcals, that means alcohol levels falling between 45-50%. Del Maguey and the Palenqueros they work with are conscious about the flavors they strive for and lean toward a full bodied and bold flavor profile. That’s not to say that they aren’t also wonderfully subtle in their flavors. We were very excited to taste one of their new products – their Santo Domingo Albarradas, aged for 60 days in barrels, enough to give it the flavor of a reposado, and a slight color change, but so very subtle. At 48%, it is quite the explosion of flavor in the mouth, and maintains its warmth as it slides down the back of the throat. I found it slightly less sweet than their non-aged Albarradas (which I think is a great dessert mezcal) and a little smoother. 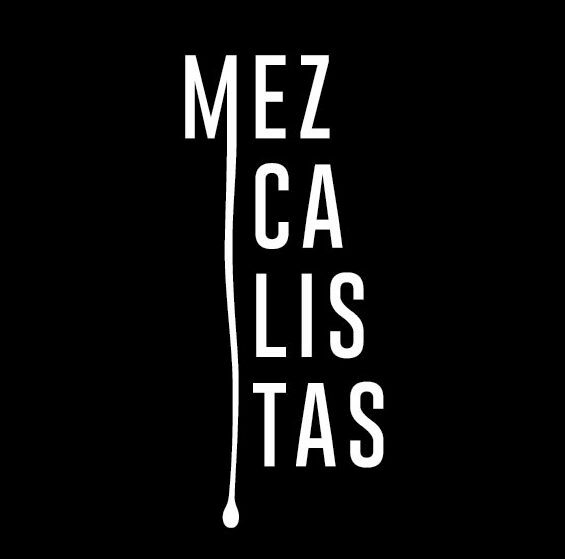 As we were trying the mezcals, Don Francisco mentioned that several of the big mezcal companies are experimenting with making mezcal from the miel de agave – a less expensive and more industrial process, that gives the drink an essence of mezcal, but is very watered down. It also enables a factory to produce a lot more product – thousands of liters a month, vs the 2400 liters a year each of the palenques produce for Del Maguey. I also heard this from a few other people. Chisme, “gossip,” about the industry is rampant here. Next up were a few silvestres, including two new ones – a Papalome, which is similar to a Tobala, that I loved (talk about a flavor bomb in the mouth – wow! So complex, so strong and piquant, that finishes with a warm glow in the upper body), and a Tepestate, that was refreshing, smooth and sweet with a lovely almost watermelon flavor at the end. We also tried the Arroqueño (49%) that was so elegant and again smooth despite its alcohol punch, and the Tobala which was surprisingly light on the tongue and very herbal and green in its finish. Don Francisco had us try his personal favorite, the San Luis del Rio, and one I have had before. It’s a multi-layered mezcal, perfectly combining a sweet/sour flavor that stays with you for a while. We finished with the granddaddy of them all – the Pechuga, produced only in the fall when the fruits used in the distillation are ripe in the mountains. I have come around to Pechugas in the past couple of years. Initially I was resistant to embracing them fully because they are pretty cost prohibitive, both in Oaxaca and in other markets because of the time and complexity in their production process. But, when done well, as with the Del Maguey, have a deeply rich and complex flavor which has completely won me over. That said I still drink relatively little Pechuga simply because it’s so expensive. A side note about certifying the Pechuga mezcal organic: It took Del Maguey three years of work with the government and stacks of legal paperwork to get their Pechuga officially recognized and certified organic. 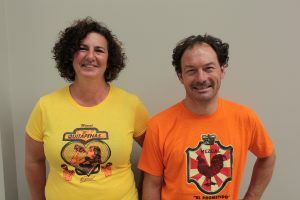 Not only that, a team of veterinarians were dispatched to the pueblo to draw blood from the chickens (pechuga can be made with either chicken or turkey) to ensure they were healthy and organic. Once again, we found ourselves deliciously high on the mezcals we tried, and terribly hungry (how many times do I have to learn the lesson, eat first, then taste mezcal.) We stopped in Santa Maria Tule, home of the famous tule tree, and ate ourselves silly with grilled chorizo, onions, pork chops, lamb barbacoa, sopa de guias (the tender greens of the squash plant) memelas and quesadillas. It was quite simply, a perfect day.